With the Trello add-in for Outlook you can create cards with descriptions and due dates, without ever leaving Outlook. 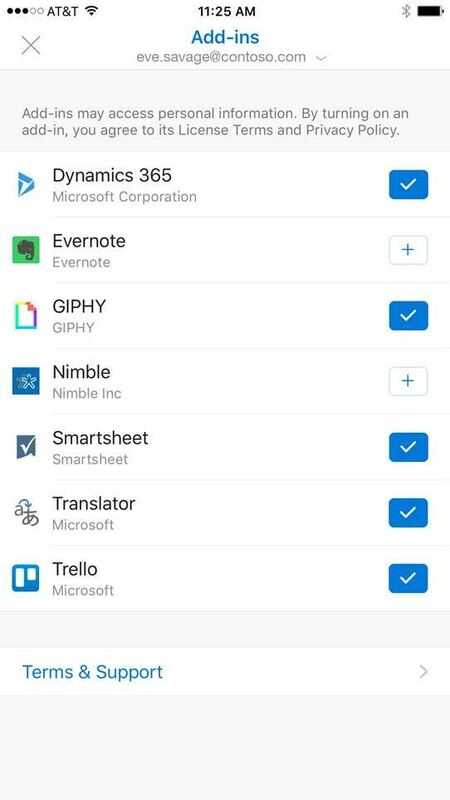 Mobile: Outlook on iOS and Android for Office 365 mailboxes; rolling out gradually to Outlook.com users. In Outlook 2013 or 2016, click on "Store" from the Home tab on the ribbon. 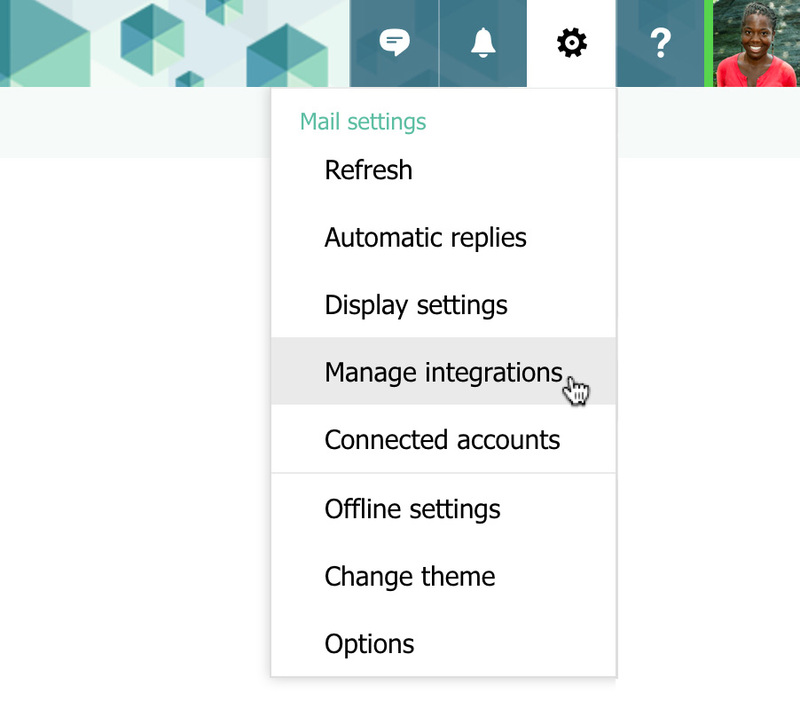 In Outlook on the web, instead click on the gear icon in the top right, and select "Manage integrations." Type in "Trello" in the search bar at the top right. Next to the Trello add-in in the search results, set the toggle to "On" to install the add-in. The add-in will then appear in the command bar ribbon at the top. In Outlook for iOS, first go to Settings and then tap on "Add-ins." There, tap on the + sign next to Trello to enable the Trello add-in. To create a card from an email in Outlook, click on the Trello icon and then select the select the board and list where you want to add your card. By default, the name of the card will be the subject of the email, and the card's description will be the body of the email. You can edit the card title or description, as well as add a due date before clicking the green "Add" button to save the card. After saving the card, you can also click "View in Trello" to be taken straight to your new card. In iOS, when you have an email open, you'll see the add-in icon in the email header—tap this and then tap "Add Card to Trello" from the list to launch the Trello add-in. Here, you can choose the board and list where the card will be created, and adjust the new card's title and description, as well as add a due date. When finished, tap "Add Card" to add the card to Trello. Having any trouble with the add-in? Please contact trelloaddin@service.microsoft.com.